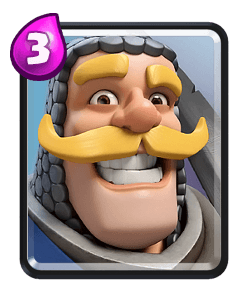 Clash Royale Deck Guide - The Perfect Counter Deck?!? 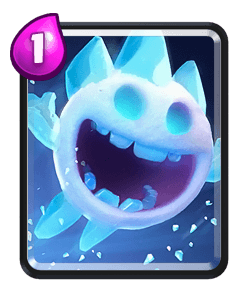 Tauron is joining me on voice today to show us this deck that he used to finish inside the top 100 last season. 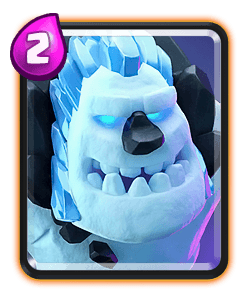 It’ll be even stronger in this season due to the giant skeleton buff! 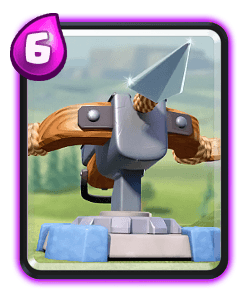 Against the annoying pekka bridge spam deck, play defensively throughout the match, use the giant skeleton to block up your lane and punish your opponent when they over commit or waste one of their air units. 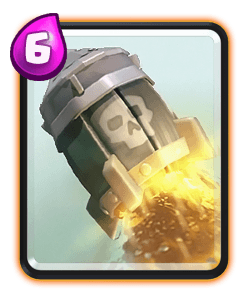 Play same lane as your opponent with most matchups because you get great value from the giant skeleton bomb. 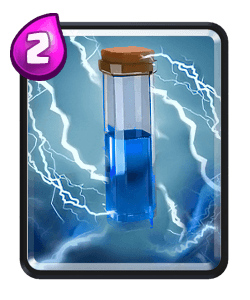 You can pressure opposite lane with miner and balloon if you have an elixir lead and they’ve waisted an air unit. 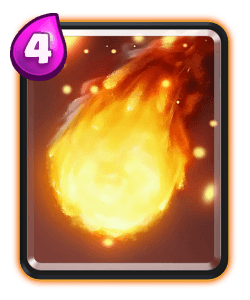 Against lava hound decks, including the lava clone deck, play same lane with your giant and pressure with your balloon, use the Tornado to pull their units into the bomb. 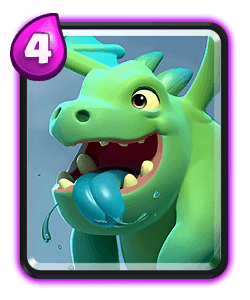 You will rely on Tesla to help you defend and once you’ve baited out their spell you can play your baby dragon defensively. Against beat down again play same lane with the giant skeleton and counter push when possible. 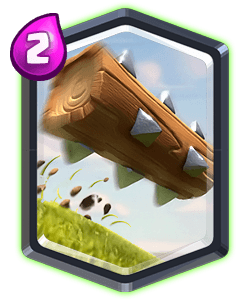 Always activate your king tower when possible against hog, bait and bridge spam decks! 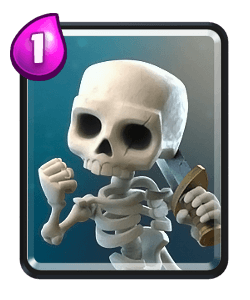 Against seige decks it’s important to play same lane always have enough elixir to play your giant skeleton, support the giant skeleton to try and cycle back to him as quickly as possible. 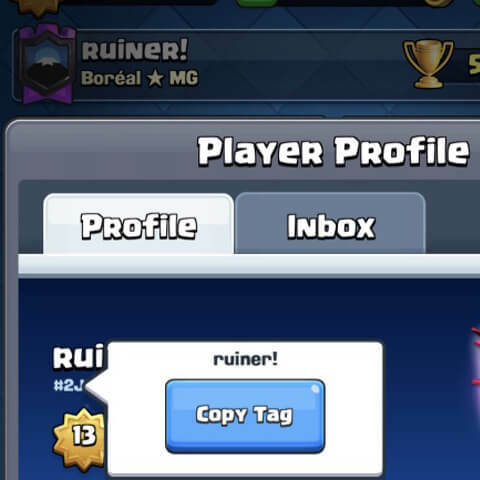 If they rocket them punish with the balloon! 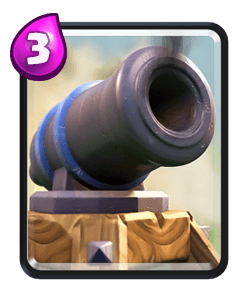 You might rely on the miner defensively in this deck because you only have three ground troops. 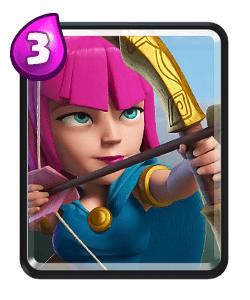 He’s a good unit to use to snipe troops like princess, magic archer, wizard or musketeer. 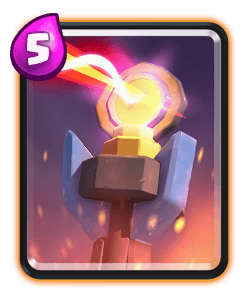 He can also tank a bandit dash if you know the opponent has log in cycle for your goblin gang. 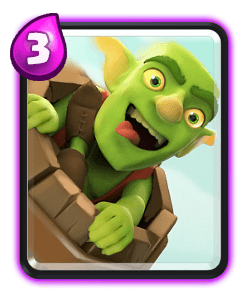 He can also be played against buildings to reduce the amount of troops they’ll spawn, especially the goblin hut which was also buffed. 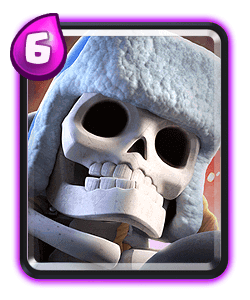 Giant skeleton recently had a buff, this makes him even more viable to play on ladder at mid to high trophy range. 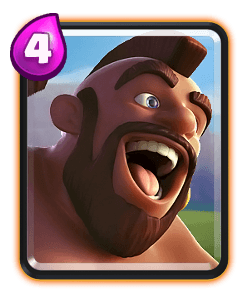 He’s a great defensive unit because he and completely block up a lane and shut down the opponents counter push units due to his death damage. Due to his initial attacks speed increase he’ll be more likely to get to the opponents tower and do over 1000Hp damage upon his death. 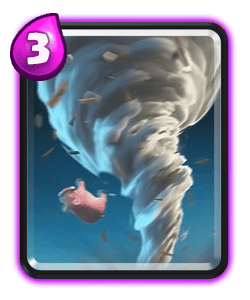 Tornado is a great card and should be used along side the baby dragon to help take out smaller unit or you can also synergies this spell with the giant skeleton bomb. 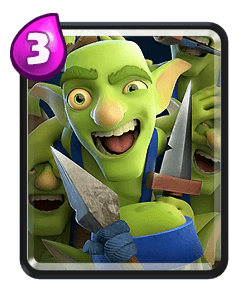 Early game you can start out the match with the miner in the safe spot or splitting the goblin gang in the back. 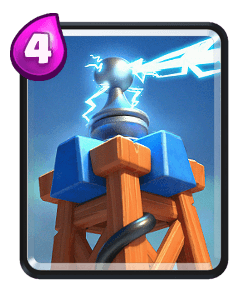 Try to activate your king tower as early as possible to help you out on defence throughout the rest of the match. 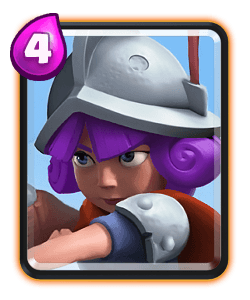 During single elixir I would focus on defending send counter pushing. 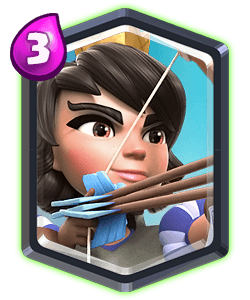 You can also punish your opponent if they make a mistake, for example play all their air counters you can punish with the balloon. 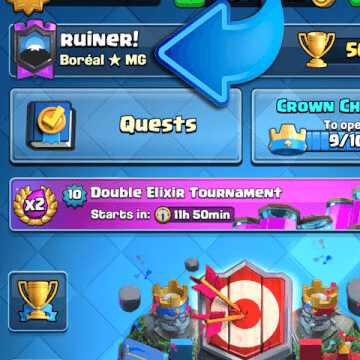 During double elixir you should now know what your opponent is playing, try to keep track of their cycle so you know what and when to play. 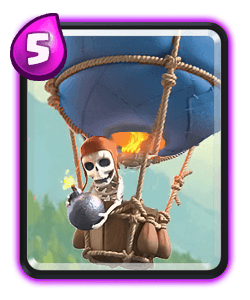 Try to keep cycling that balloon if you can bait out some air units, even if you don’t get a direct hit the death damage and miner chip will slowly win you the game. 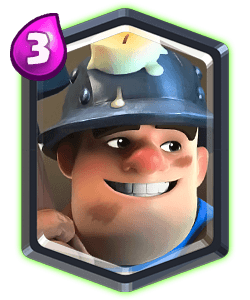 Goodluck with his deck, it’s very defensive and works great against a variety of matchups.